Richard Correia of NICE explains three steps to increase your employee engagement. The value of employee engagement is undeniable. Engaged employees tend to feel a strong bond with the company, increasing their motivation to see it succeed and, therefore, to improve their own performance accordingly. Unfortunately, research indicates that most employees are not engaged, which can have a negative impact on the level of service. But what drives employee engagement? What can you do to keep your employees engaged and create motivation? Let’s consider three important steps. Measuring employee engagement is much more important than you think. It’s necessary to begin understanding how engagement might influence the way your brand is regarded, both internally and among customers. The performance metric of schedule adherence, for example, is a key measure of engagement, as it reflects an employee’s motivation towards their work and their commitment to the operational success of the company. It should be measured and tracked daily, so that specific issues or trends can be more effectively isolated. Similarly, “after-contact work time” (ACW), which can be highly variable between employees, may be directly influenced by employee motivation. The trick, again, is to identify unacceptable variances which have been statistically correlated to disengaged employees and to take some positive steps to energise the employees. Adherence issues, and implied impacts on employee engagement, have a significant impact on service effectiveness and overall efficiency measurements, such as AHT, occupancy, and ASA– resulting in either negative or positive measurable financial value. As you learn what to look for and how to measure engagement, you need to develop an engagement strategy. In today’s world, the culture you foster at your company is a top priority for attracting potential hires – and clients. As demographics are shifting, this is becoming even more imperative. Millennials already form the largest section of the workforce, soon to be followed by Gen Z, who will be even harder to impress and retain. Scheduling flexibility is a primary driver for agents’ work-life balance. Accommodating everyone’s personal needs and maintaining optimal staffing is no easy task, but providing the option for agents to self-manage their schedules, as much as operationally possible, is a great source for employee engagement. Along with scheduling, employees can be further engaged by access to detailed data on their performance. This is even more effective when the data regarding average handle time (AHT), for example, is presented in real or near-real time and with recommended actions that can move the needle positively. If you’re ready to engage employees, improve productivity and office morale, you’re in luck. Because investing in the right solutions is a step that every organisation must take. For employees, a solution should empower them to independently make scheduling changes and receive immediate confirmation through intelligent automation. Agents can view, change, swap, and act upon shift change offers. Additionally, all of the notifications and potential changes are distributed to the individual agents based upon their skills, alert preferences, and availability preferences, ultimately contributing to a better work-life balance and ongoing engagement. For contact centre supervisors, intelligent automation to resolve over- and -under-staffing gaps greatly minimises administration time and effort to achieve an efficient operation. Intelligent solutions that leverage user-definable business rules to automatically control, manage and regulate staffing variances as they instantaneously occur allow supervisors to focus on leadership, coaching, and the overall development of their staff. 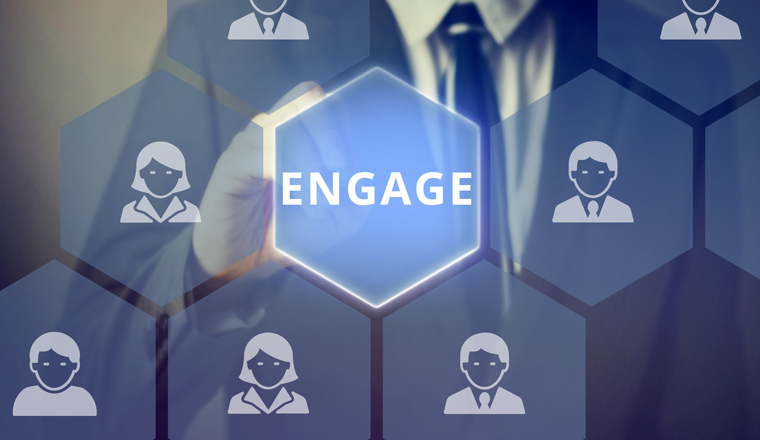 Employee engagement tools make it possible to respond quickly to changing conditions that impact customers, employees, and the bottom line. It can optimise your contact centre’s manual intraday management processes, thus ensuring up-to-date intraday coverage to provide optimal customer service levels, while also contributing to employee engagement and motivation, and timely performance awareness and improvements. All of which impact customer satisfaction levels and reduce overall operating costs. To find out more about NICE, visit their website. NICE is a leading global enterprise software provider that enables organizations to improve customer experience and business results, ensure compliance and fight financial crime. Their mission is to help customers build and strengthen their reputation by uncovering customer insight, predicting human intent and taking the right action to improve their business.